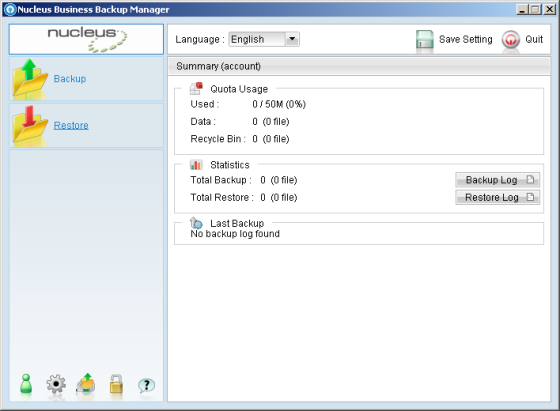 Through the Nucleus Online Back-up Manager you can search through already made back-ups, to find the files you need. 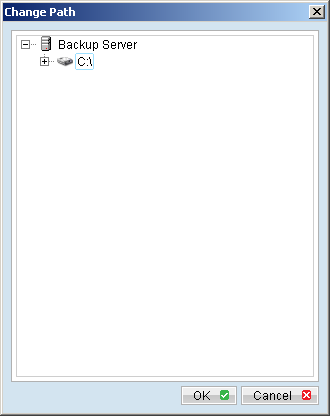 To do this, open the Nucleus Online Back-up Manager by doubleclicking the icon on the desktop, or by doubleclicking the small icon in the system tray, in the bottom right of the screen. You will now need to enter your username and password. In the main screen, choose the option “restore”. 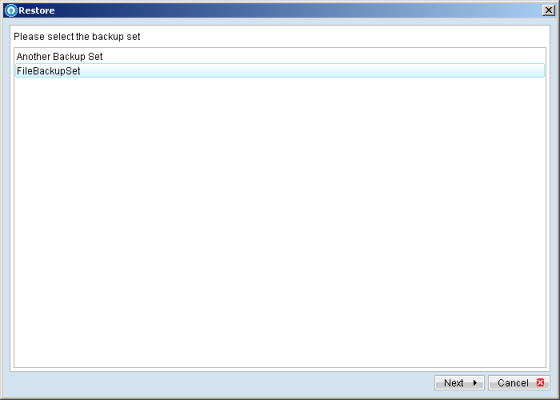 Next, choose the back-up set you want to search through. In the next screen, you can use the button “search” in the bottom left to start a new search query throughout the back-up set. 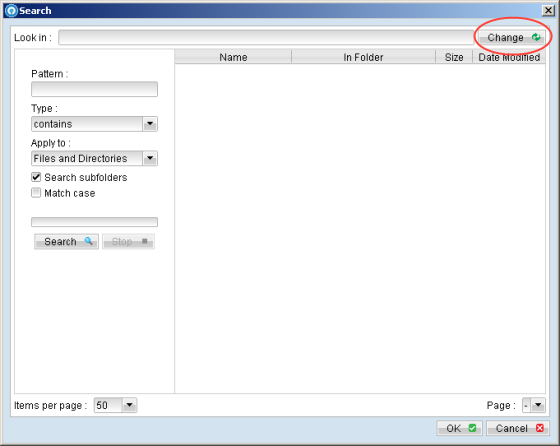 Using the button “change”, in the top right, you can termine on what level the search needs to be conducted. You can search through the entire dataset, or only a fraction of it. Now you can determine which folder needs to be searched through. After confirming the directory, you can start your search. At the top (1) you can see which directory will be used to search through. 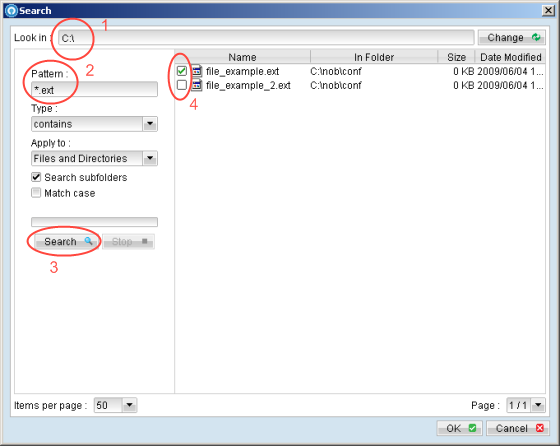 In the input field (2) you can enter a filename, or a part of that filename, to search for. You can use “wildcards” if you only remember part of filename. By searching for “*.ext” you will search all files ending with “.ext”. By using the search-button (3) the search will be started. In the right hand side, the results will appear. 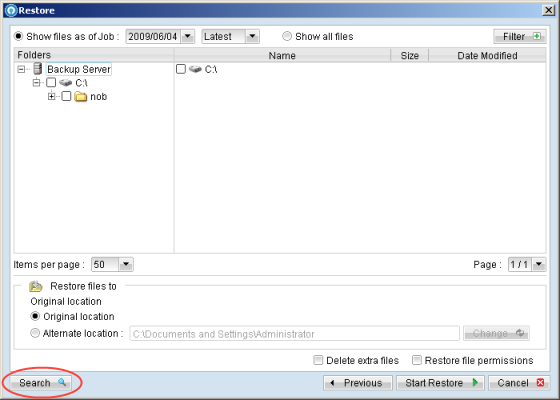 Using the checkboxes in front of the results (4) you can select which files to recover. By confirming with the “OK” button, the recovery can start.